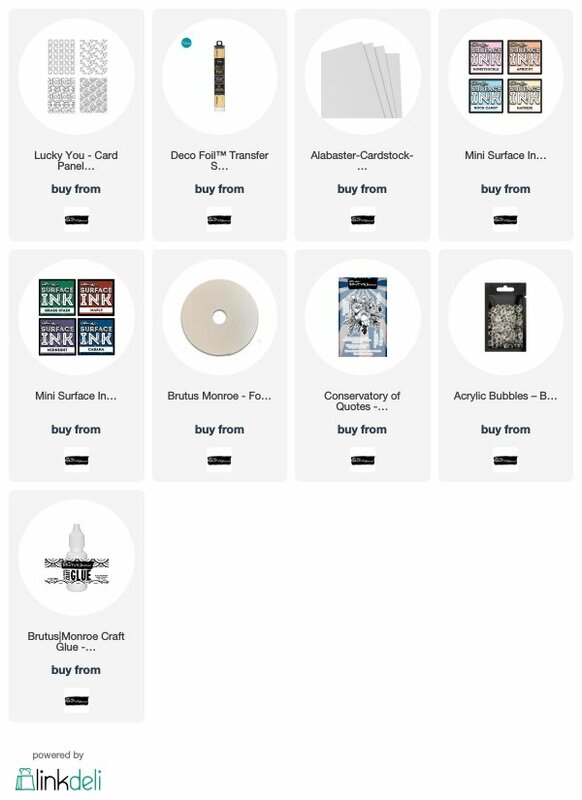 Hi crafty friends, thanks for stopping by today. 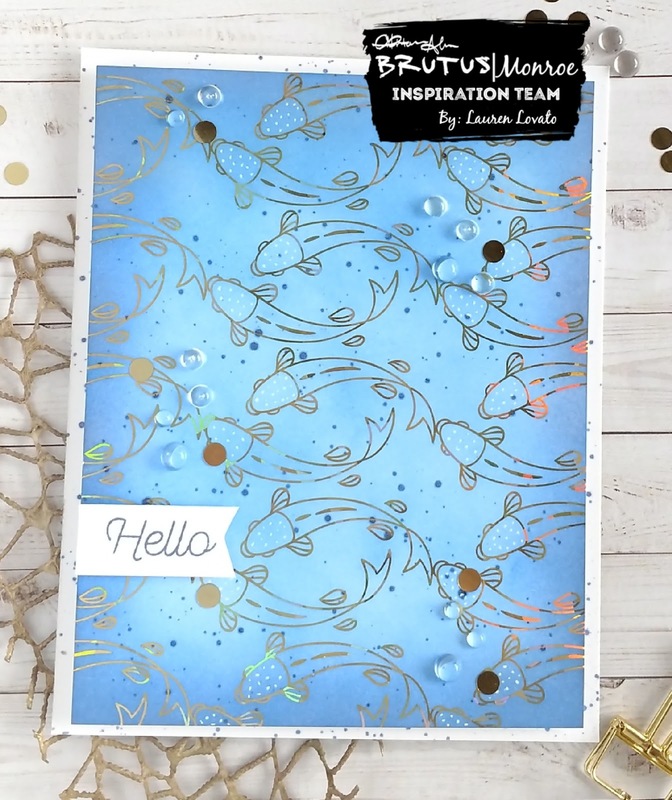 The Brutus Monroe Inspiration Team is blog hopping today to showcase projects make with the surface inks. For this project, I chose to use two colors - Rock Candy and Cabana. 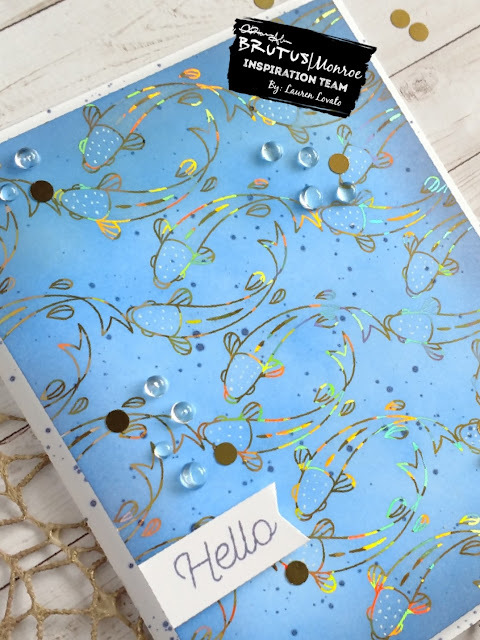 I started with this koi fish pre-printed cardstock from the Lucky You card panels, and ran it through the laminator with Gold Shattered Glass decofoil. I started blending Rock Candy surface ink in the middle of the card, and the cool thing is that the foil resists the ink! I blended the Cabana ink around the edges, and added some white dots to the heads of the koi fish. I colored the bodies of the koi fish with a shimmer pen, but it's hard to catch that on camera. I squished the Cabana surface ink down onto my craft mat and I spritzed it with water, and splattered it all over the panel using a paintbrush. I also splattered a slightly larger panel of Alabaster cardstock. I popped the koi panel up on the splattered Alabaster panel with foam tape, and stamped the sentiment from the Conservatory of Quotes set with the Cabana ink as well. I added some flat gold sequins and some acrylic bubbles to finish off the whole card. 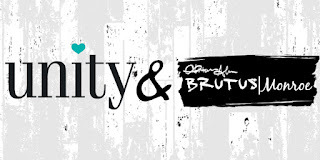 Have you tried the Brutus Monroe surface inks yet? 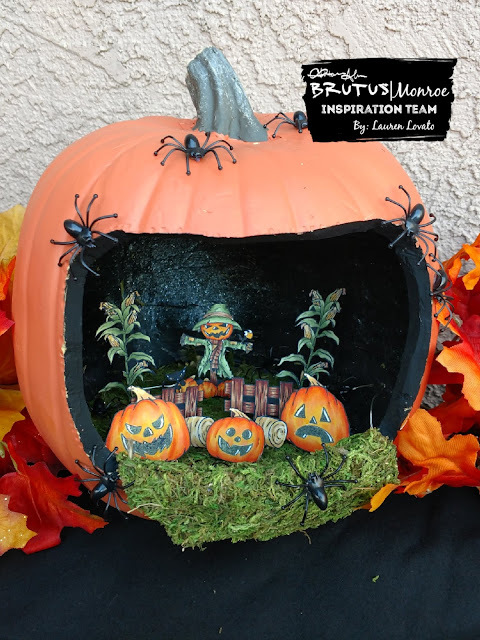 Post your creations on social media, and be sure to use the hashtags #BrutusMonroe and #CreateYourOwnEnding so we can see what you make! 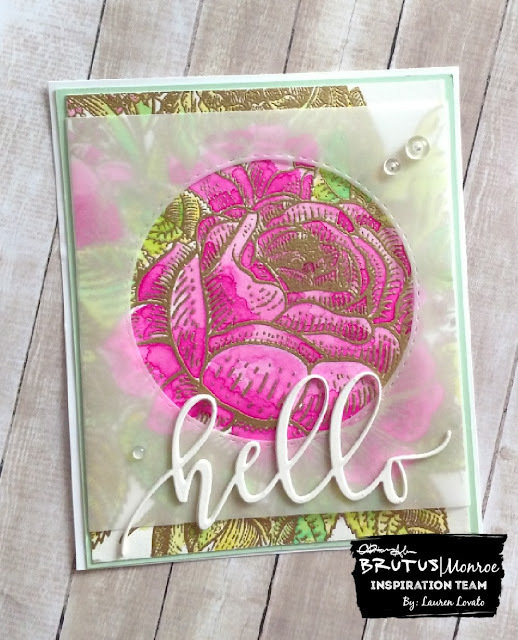 Next, hop over to Luisana's blog to see her beautiful card.